Presenter Richard Le introduces the modern library. At the February NCTA General Meeting, members got an inside peek into the evolving world of the modern day librarian. I have always loved libraries. As a young immigrant I appreciated the free access to books that taught me a new language and culture, as well as those that made it possible to stay connected with my native literature. As an adult, getting to know the librarians at our family’s favorite libraries has been a pleasure. They are a wealth of information; the benefits of their know-how and their willingness to share their knowledge are invaluable. This was proven, once again, at the February NCTA General Meeting where members met Richard Le, Reference Librarian at the San Francisco Public Library. Le shared countless resources available to members of the public library system. In addition to checking out the latest novel by your favorite author or the latest movie to come out on DVD, Le discussed the new roles libraries are playing. First, if you would like to take advantage of the San Francisco Public Library (SFPL) resources shared by Le and mentioned in this article, you will need to get a library card. Residents of California with identification may obtain a SFPL card for free. Applications are available at all branches and need to be submitted in person. In addition to the traditional benefits of a public library, present day benefits include checking out e-books and streaming music as well as movies. Public libraries have been busy keeping up with modern times and technological advances. Librarians realize that books and reference texts are not the only reason for libraries to exist. Their new and evolving roles include providing access to public information, digital information, research assistance, and helping teach digital literacy; in short, libraries have become modern, full-service learning centers. Le’s presentation focused on services useful to a professional, whether searching for a new job, learning more about a particular public organization, or doing research for a business project. Research assistance is offered in several ways: a library cardholder may call or visit with a reference librarian, may text, email and chat online, may request research tips and advice, and may have access to research guides. This last resource—reference guides—is of particular value. As you may know, academic journals are authoritative and scholarly reference texts with some of the most current information. Libraries carry these journals, mostly online, and usually have access to archived back issues. There are five possible locations to access academic journals: at a public library, at an academic (university) library, at a special (private) library, at a government library, or on the internet. Each of these locations has benefits and challenges. Le highly recommended starting at the public library, as it has free access to general databases and periodicals, Link+, interlibrary loans, and provides free research assistance. The other libraries may have more specialized databases; however, they may also limit access. That is, you may have to be a registered student or organization member and pay a fee. 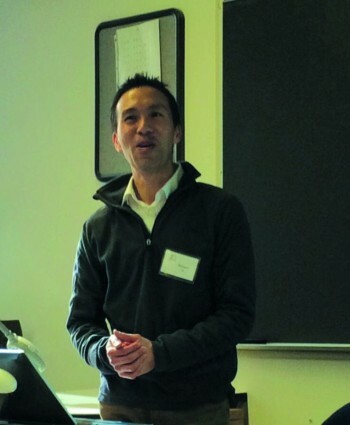 Le shared some benefits of his experience with NCTA members, emphasizing that effective research strategies are vital to doing quality research. According to Le, an efficient research strategy starts with a search through databases of articles on the specific subject of interest. He suggested requesting the assistance of a librarian who is well versed in utilizing search operators, symbols, or specific words within your search terms in order to narrow down your results. He recommended The Most Common Google Search Commands and Tools as a good starting point to narrow down your search results. In addition, he mentioned several database search basics such as searching by keywords, author(s), journal, article title, etc. Limits, such as publication year, language, document type, publication type, and document format, are also beneficial in order to narrow results. Once your search leads you to a desired article, you may request a copy through the library’s document delivery service. Le shared an extensive list of library databases and e-resources for journal articles that are subject-specific: Selected Library Databases and e-Resources, and Tools and Websites for Journal Articles. If interested in obtaining document files of these two sources please contact Juliet Viola Kniffen and request the documents as well as the link to Richard Le’s presentation slide deck. kim posted this article under NCTA Meetings, Reference	on Thursday, May 1st, 2014 at 12:04 pm	You can follow any responses to this entry through the RSS 2.0 feed. Both comments and pings are currently closed.